What holiday season wouldn't be complete without a girls night out with Lulus.com? 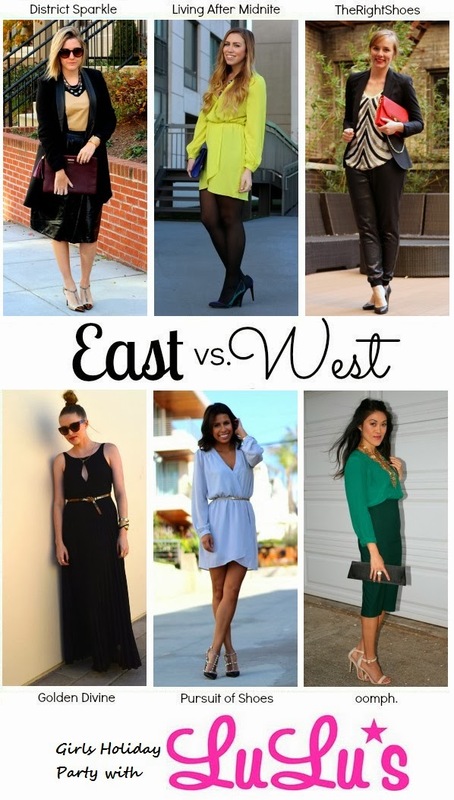 I've teamed up again with a few of my favorite bloggers for the East vs. West- sharing our favorite girls night out looks wearing the most amazing dresses from Lulus! I'm seriously obsessed with everything on their store! Check out how each of these ladies styled their girls night out holiday look! 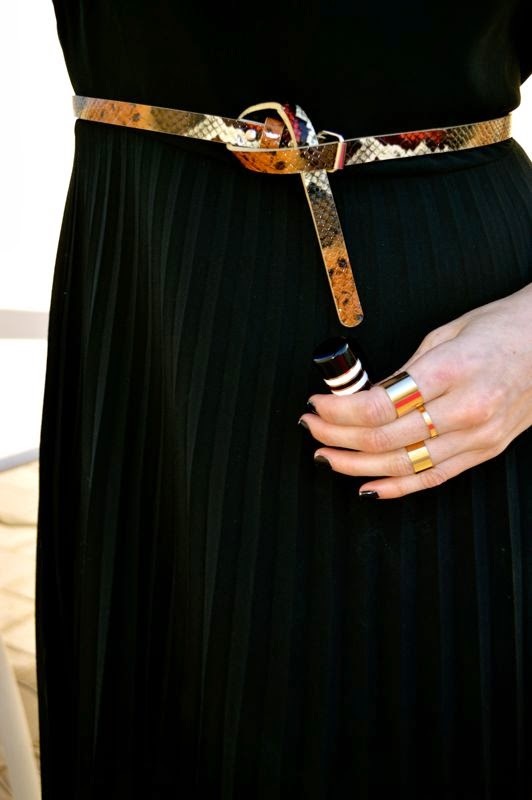 A simple black dress, bold accessories and top knot is perfect for a girls night out this holiday season! love the pleats! great way to keep it classy AND classic with a simple black dress.